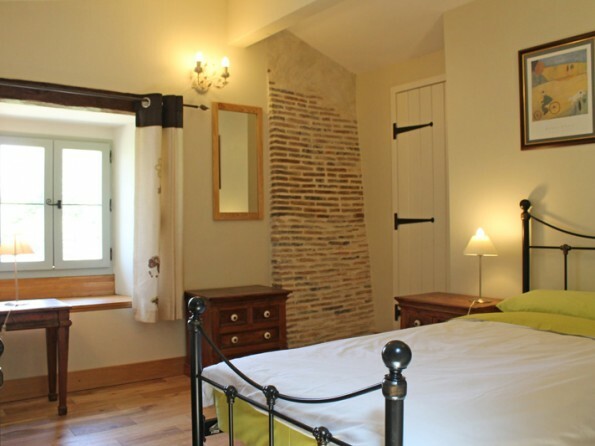 Named after the little Catalpa tree in the garden, this beautiful and deceptively spacious barn conversion is full of character and set in a remarkable location. 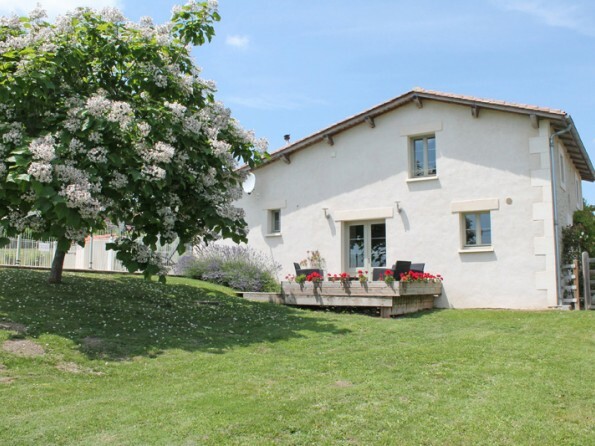 A truly memorable holiday home with stunning views out over the countryside. 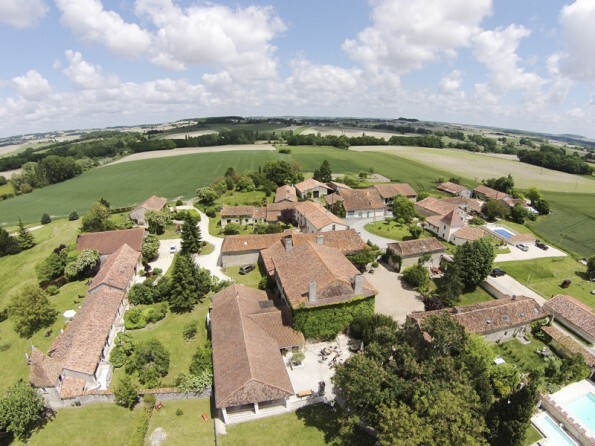 A 5 minute walk takes you to the Cognac Estate of Longeveau, where you have unlimited access to all the facilities on site including restaurant, swimming pool, tennis courts & a 9 hole golf course. 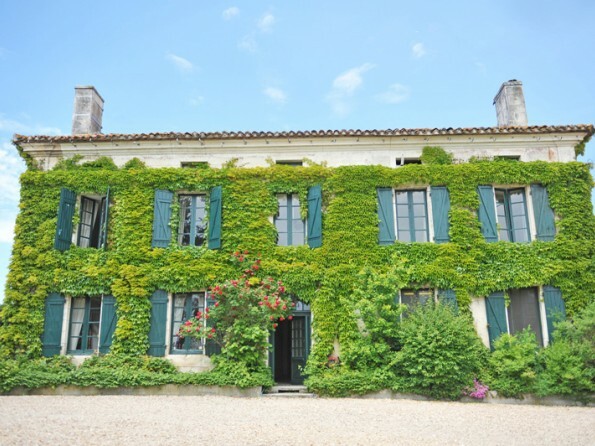 With its large garden and spectacular views, Le Catalpa feels delightfully private and yet it is just a few minutes’ stroll down the lane to all of the facilities at Longeveau. 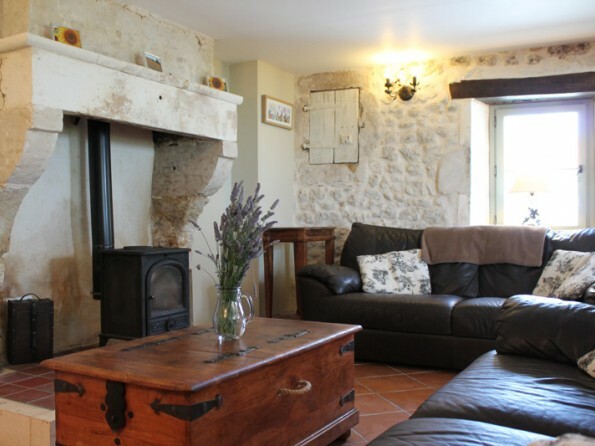 Original oak beams and stonework give the cottage enormous charm and personality, and the furnishings and amenities both inside and out are everything you could ask for. 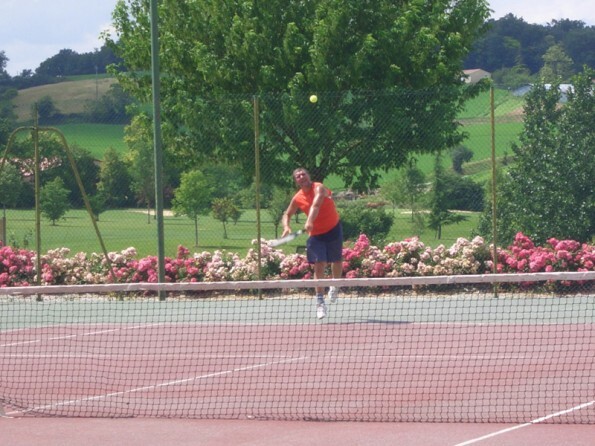 And within the estate you will find tennis courts, a golf course, a treatment room, a crèche, a relaxed bar and a restaurant. What more could you want? 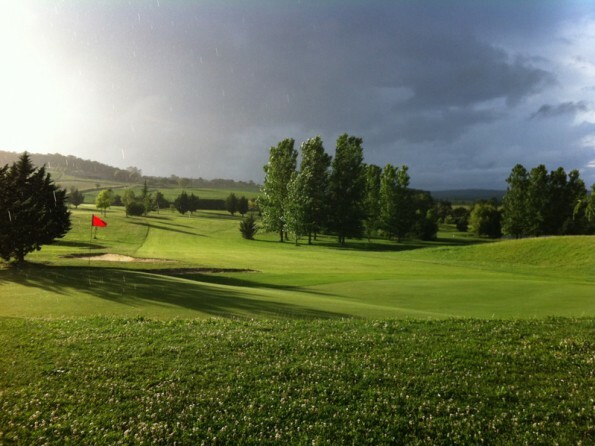 The region is known for its lovely climate, sun-drenched summers, rolling green hills and valleys, fascinating history, and mouth-watering food and drink. 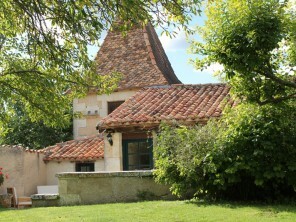 Wine lovers will be in paradise at the chateaux and wine caves, the towns of St. Emilion, Bergerac, Cognac and Bordeaux are all within easy reach and there is an array of activities available in the local area, from walking, tree climbing, canoeing and cycling to fishing, jet–skiing and quad biking. And beyond Bordeaux are the unspoilt beaches of the Atlantic coast. 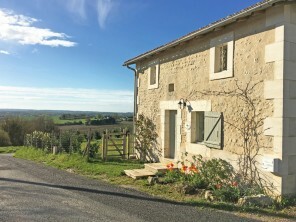 The picturesque old Roman town of Aubeterre, with its winding streets, 12th century subterranean church, river beach and village square, is just a bike ride away, and slightly further are the market towns of Chalais and Riberac. 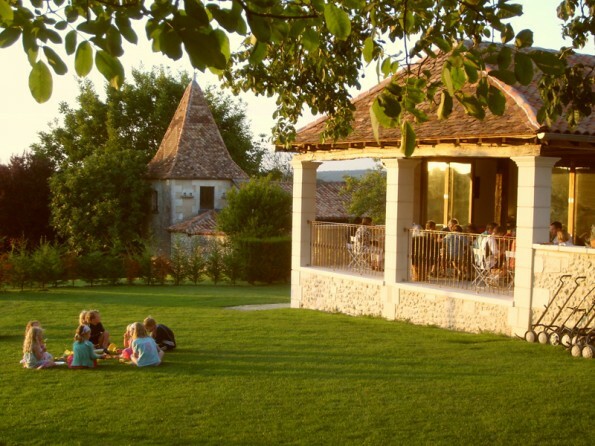 There are a number of very good restaurants in the area, ranging from cafés to fine dining, and a variety of local festivals, fetes and firework displays take place throughout the summer. There really is something for everyone here. 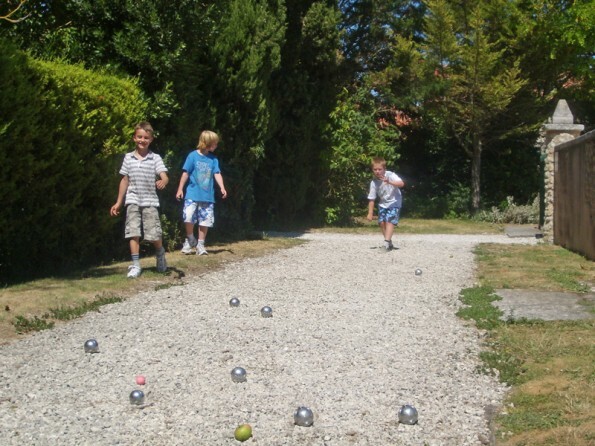 Longeveau is located on the Charente/Dordogne border, between the villages of St Sevérin and Aubeterre Sur Dronne. 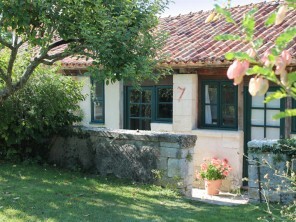 We are approximately 40 minutes south of Angouleme, 45 minutes west of Perigeux and 1 hour 20 minutes east of Bordeaux. Our local airports are Angouleme-Cognac, Bergerac, Bordeaux, Limoges, Poitiers and La Rochelle and our closest mainline train station is Angouleme. For detailed driving directions see the website. 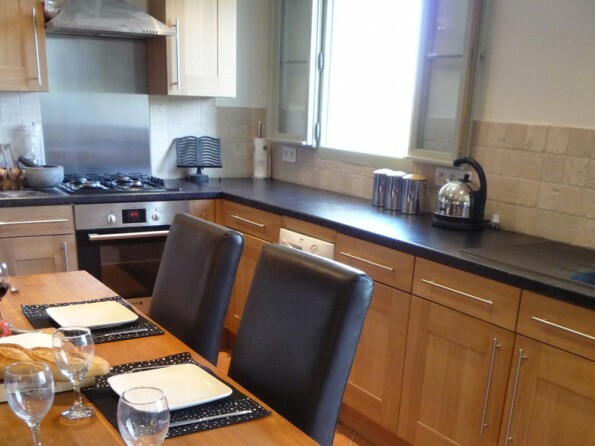 The cottage has an open plan living/dining area and kitchen, with plenty of living space and all the mod cons you could need including a dishwasher, a TV with Sky and WiFi throughout. 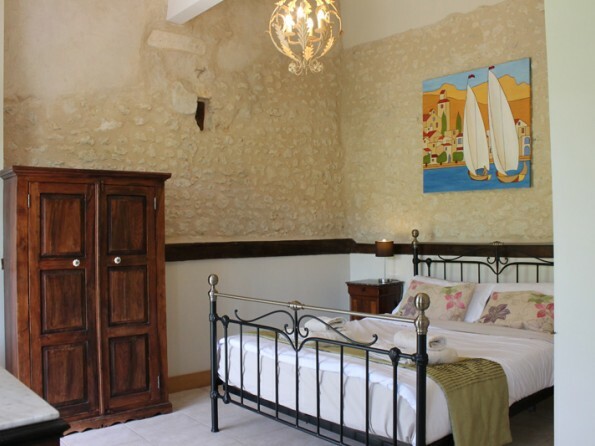 Downstairs there is an en-suite master bedroom with double doors that open out onto the terrace, and upstairs there are a further two en-suite bedrooms (double or twin). 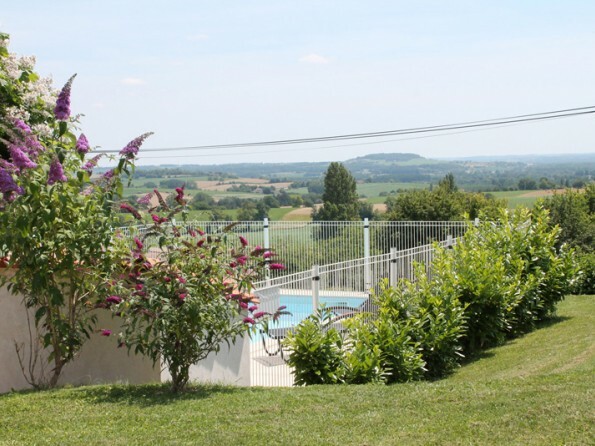 The views towards the distant Dordogne are wonderful and the property is well equipped with plenty of hot water and all of your kitchen and tableware requirements. 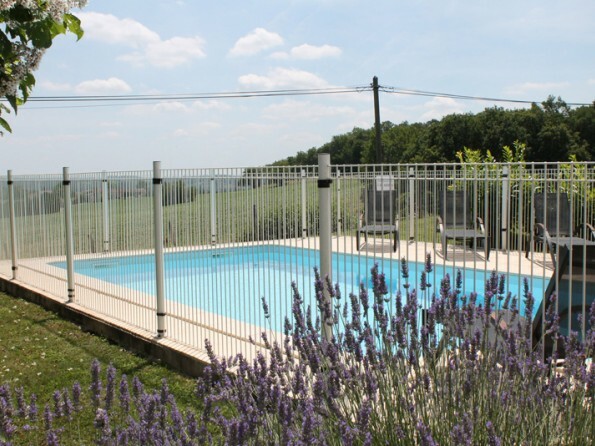 La Catalpa is blessed with a large garden (plenty of space to play), a terrace with a BBQ and dining area and a lovely little pool with sun loungers and fabulous views. Both the garden and pool are secured to keep little ones safe. 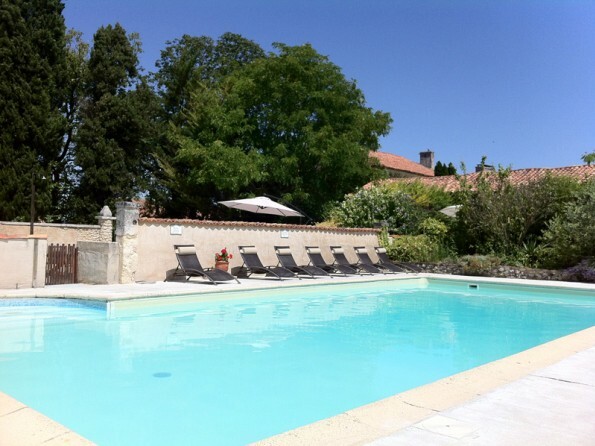 Le Manoir de Longeveau is a former Cognac Estate and in total there are 33 lovingly renovated stone cottages, ranging from 1-9 bedrooms and sleeping from 2-18 people each. 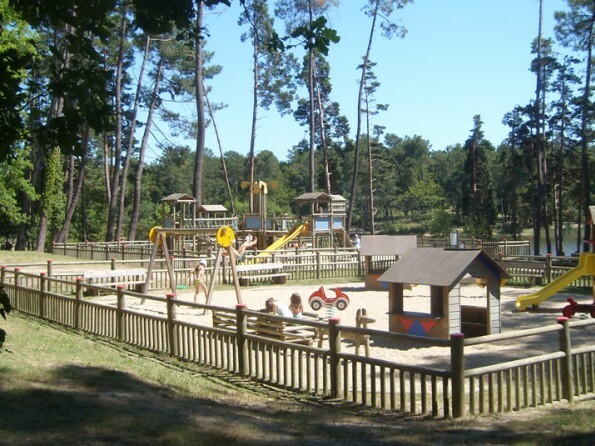 All of the properties are located around the estate or a few minutes’ stroll up the hill at Puygironde and they all benefit from a superb range of facilities and services. In peak and high season our bookings (generally) run from Saturday to Saturday or Friday to Friday unless specifically otherwise agreed. Individual accommodation is secured by a deposit equal to the value of 25% of the accommodation rate. The balance of the cost of your holiday is due 8 weeks prior to arrival.